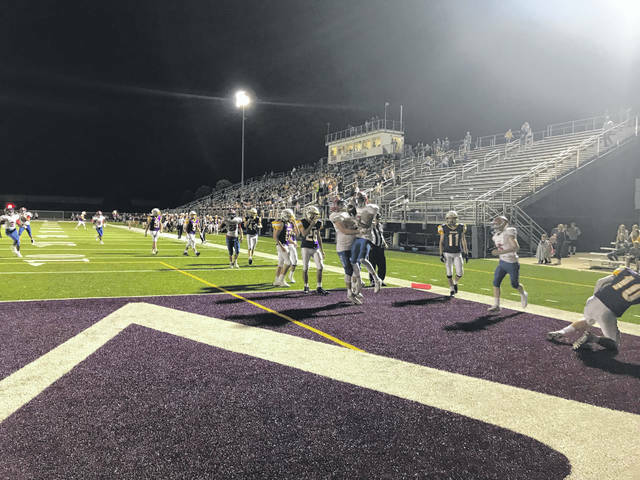 This week provides one of the more anticipated high school games at this stage early in the season in recent memory for fans of high school football in Scioto County. Portsmouth Coliseum will play host to the hometown Portsmouth Trojans against their neighbor school, the Portsmouth West Senators. There are many questions surrounding this game and the factors involved, making it undoubtedly the week two Game of the Week in Scioto County. The Portsmouth Trojans have the potential to be a contender for the top spot in the OVC if their week one performance holds true throughout the rest of the year. Portsmouth defeated the Valley Indians last Thursday in the opening game of football in Scioto County, 57-40. 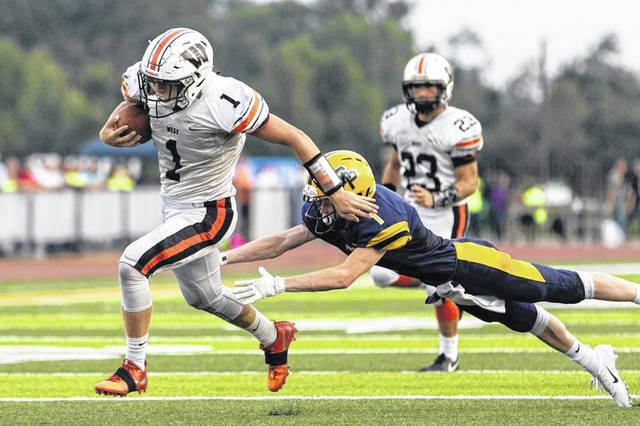 The Trojans were able to score their 57 points in a variety of ways such as onside kick returns for a touchdown, quarterback rushes, fullback rushes, and most lethally, the blazing speed of standout running back, Talyn Parker. Parker finished the Trojans opening game with 324 rushing yards on 31 carries and 4 touchdowns. Parker would have finished with one more touchdown, and possibly his team would have had a larger margin of victory if he had not fumbled at the goal line so that Indians defender, Andrew Andronis, could take the ball 99 yards for a defensive touchdown in the game’s opening drive. Parker’s explosion out of the backfield is incredible. Couple that with towering offensive lineman such as Colin Boehm, power running backs and fullbacks in the Trojan backfield, and the dynamic running abilities of senior quarterback Danny Lattimore, and the Trojans are poised to create problems for any team believing they can slow down their offensive attack. On the other side of the field, the West Senators, who a year ago finished the season 10-2 after falling in the second round of the playoffs, bring back nearly all of their offensive playmakers from a season ago. The Senators started off the 2018 season with a road trip east on US Highway 52 to South Point to face the Pointers. Just as they did in last season’s campaign, the Senators showcased their offensive explosiveness utilizing their different options and ability to keep the Pointers guessing as to who would get the ball each possession. West won their game against South Point 49-12, ending week one with the third most points scored by a Scioto County team (Green – 54 and Portsmouth – 57). Senior quarterback Dylan Bradford threw for 129 yards on just three completions, two of which went for touchdowns. The rushing attack for the Senators was incredibly efficient in their week one matchup. Senior running back Cole Staggs led all rushers for West by amassing 98 yards on just three carries with one rushing touchdown. Senior wide receiver Josh Berry had one rush for 51 yards, senior Garrett Hurd had 11 rushes for 41 yards and two touchdowns, and Dylan Bradford also rushed for 41 yards on three carries. Will these two team’s defenses be able to handle the explosive fire power coming at them from all sides? Will Talyn Parker and the Trojan backfield be able to rush for nearly 500 yards as they were able to do against Valley? Will the senior leadership from the Senators be able to will their team to a road victory against the Trojans? Luckily, these two teams will answer all questions during this week’s Game of the Week this Friday night with kickoff at 7:00 p.m. in Trojan Coliseum.